Waterton Academy Trust is a dynamic group of schools offering an outstanding Initial Teacher Training partnership with Leeds Trinity University. We aim for very high standards of training enabling future teachers to have an excellent start to their teaching careers. We work hard to create an environment in which staff, pupils and trainee teachers alike feel valued and supported. Our partnership of schools comprises a range of settings from small village Infant Schools to through Primary Schools to large three form entry Junior Schools. All of our schools are within the Wakefield District area. Our schools have an excellent track record working with ITT partners for many years and we are excited to have the chance to channel all of our enthusiasm and experience into your teacher training from September 2019. Trainees will have the opportunity to work in several of the schools within the cluster, with further academic study at Leeds Trinity Campus. Our schools offer a range of expertise in early years and primary teaching, and along with the staff at Leeds Trinity you will be supported, challenged and inspired by a range of outstanding teachers with a wealth of experience. 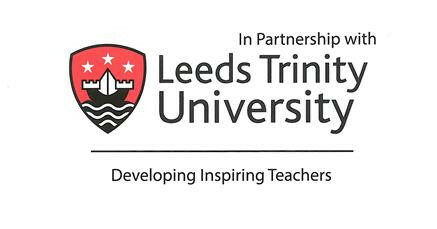 Leeds Trinity University also provides additional enhancement experiences and offers support for the trainees once they have taken up their first teaching post. inspire our children with a love of learning." What can Waterton offer you?